MYSTERY surrounding the origin of modern birds has deepened after the discovery of a rare fossil dating back to the age of the dinosaurs. Scientists analysed the almost perfectly intact fossil skeleton of a bird the size of a turkey vulture that lived 75 million years ago. They discovered that the creature, Mirarce eatoni, must have been an expert flyer, just as well adapted as modern birds. Yet this bird and other members of its family group, the enantiornithines, all vanished in the mass extinction that wiped out dinosaurs some 65 million years ago when a meteor crashed off the coast of Mexico. 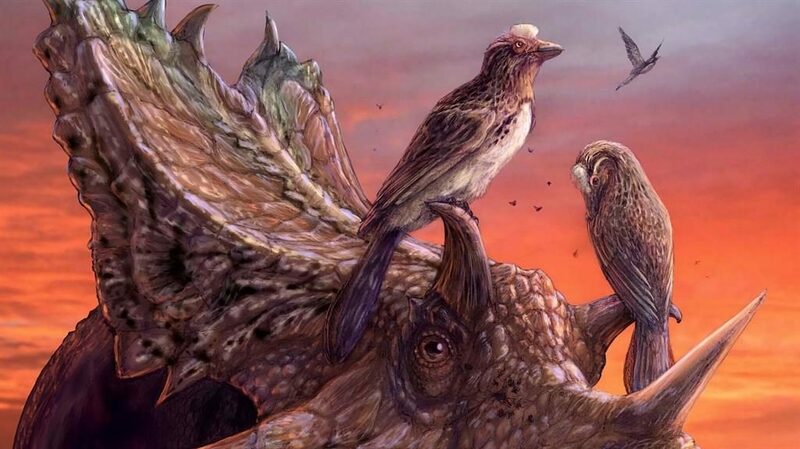 US researcher Jessie Atterholt, from the University of California at Berkeley, said: ‘We know that birds in the early Cretaceous, about 115 to 130 million years ago, were capable of flight but probably not as well adapted for it as modern birds. M. eatoni probably had teeth in the front of its beak and claws on its wings and feet, said the scientists. All birds evolved from feathered two-legged ‘theropod’ dinosaurs, the large group of meat-eaters that included Tyrannosaurus rex.